In a recent meeting with his national security team, President Trump said that "the U.S. mission [in Syria] would not extend beyond the destruction of the Islamic State, and that he expects other countries, particularly wealthy Arab states in the region, to pick up the task of paying for reconstruction of stabilized areas, including sending their own troops, if necessary," the Washington Post reported Wednesday. ISIS is still in Syria and continues to pose a threat. Since entering the 2016 presidential race, Trump has pledged to destroy ISIS, and his administration's efforts to do so have largely succeeded. Army Gen. Joseph Votel, head of U.S. Central Command, said Tuesday that the U.S. and its coalition partners have liberated "well over 90 percent" of the territory that ISIS captured in Syria. But the mission is not complete. There are at least 2,200 ISIS fighters entrenched in eastern Syria near the border with Iraq, according to senior officials. That figure does not include the untold ISIS jihadists who have embedded themselves in local populations throughout the country, or those who sympathize with their cause and could be persuaded to become violent. The U.S. would risk losing its hard-earned gains against ISIS if it left Syria. The anti-ISIS coalition would fall apart without Washington's leadership; there are already signs that it is cracking. Easing up the pressure would give ISIS the oxygen to regroup and continue to plan violent attacks against the civilized world. The U.S. already tried this in Iraq in 2011—it didn't work. A brief flashback: President George W. Bush's surge of U.S. troops into Iraq in 2007-08 helped drive al Qaeda in Iraq, the precursor to ISIS, underground and stabilize the country. Barack Obama then entered the White House in January 2009, promising to end the Iraq war. He eventually withdrew all U.S. soldiers in 2011. "We're leaving behind a sovereign, stable, and self-reliant Iraq, with a representative government that was elected by its people," declared Obama while announcing the final withdrawal in December. After the withdrawal, then-Iraqi Prime Minister Nouri al-Maliki, a Shiite Muslim, pursued sectarian policies that targeted Iraq's Sunni minority. This, along with the absence of American leverage, contributed to the rise of ISIS, as more angered Sunnis became willing to take up arms. 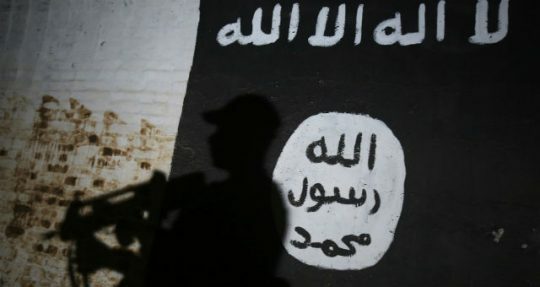 Al Qaeda in Iraq regrouped in Syria during this time, took territory in the eastern part of the country during the ongoing Syrian conflict, refashioned itself as ISIS, and charged back into Iraq in 2014, establishing its so-called caliphate and killing Western hostages, religious minorities, and countless civilians. Months later, America was back where it started in a sense, sending thousands of soldiers back to Iraq to fight ISIS. Of course some specifics are different in Syria, but it is quite easy to see how history could repeat itself. Withdrawal would undermine Trump's Iran policy. Iran's supreme leader could not dream of a U.S. action that would undermine the administration's policy toward Iran more than a withdrawal from Syria. Trump appears poised to leave the Iran nuclear deal in May and has repeatedly indicated his desire to have a tough posture toward the Islamic Republic. Indeed, the president in October unveiled a U.S. strategy that would involve working with allies "to counter the [Iranian] regime's destabilizing activity and support for terrorist proxies in the region." It simply does not make sense to leave the nuclear deal, impose more sanctions, and target the regime's development and proliferation of missiles only to cede Syria to Iran. Why? Syria is the key to Iran's destructive ambitions in the Middle East. The Islamic Republic seeks a land bridge from Tehran to Beirut to build a sphere of influence that reaches from its Afghan borders to the Mediterranean Sea—a continuous corridor of political and military control from which Iran can strengthen its regional influence and weaken that of the United States. Iran also seeks to build a long-term military presence in Syria, from which it can threaten U.S. allies in the region like Israel, and influence politics in Iraq and Lebanon. To these ends, the Iranian regime has used Syria's conflict to entrench itself militarily and politically, primarily through an extensive network of Shiite militias. If the U.S. leaves Syria, there will be little in the way of Tehran's expansion. It is also worth noting that the Assad regime's war machine in Syria, which is completely dependent on Iran's support, drives the starved and enraged Syrian Sunnis who they slaughter into the arms of ISIS and other jihadist groups. Giving Syria to Iran is a recipe for a return of ISIS, version 2.0. Washington would further lose its ability to influence events, ceding control to hostile authoritarians. It is disconcerting to see reports emerge about the U.S. struggling to keep just a small presence in Syria on the same day that the presidents of Russia, Iran, and Turkey hold a summit in Ankara on Syria's future. The dichotomy is more than symbolic: It is obvious that Washington has, by its own doing, little influence on the diplomatic process to resolve the Syrian conflict. One gets the sense that the authoritarians are watching in real time as America's role as security guarantor and leading power in the Middle East steadily erodes, continuing a process that began before Trump entered office. It is hard to see how two of Syrian President Bashar al-Assad's strongest supporters—Russia's Vladimir Putin and Iran's Hassan Rouhani—will actually implement ideas to resolve the conflict. Turkey's Recep Tayyip Erdogan is no representative for Washington's position, despite being a NATO ally. Three dictators, each hostile in some way to the United States, are trying to determine the future of the Middle East’s central geopolitical battle space. American troops act as an obstacle to their anti-democratic and anti-humanitarian designs. One lesson has become unmistakably clear from the Syrian conflict: military facts on the ground determine diplomatic processes for peace, not the other way around. The implications for withdrawing U.S. troops from Syria should be obvious. The U.S. would abandon the Kurds—again—to a violent fate. The Kurds in Syria have by far been Washington's most effective partner in fighting ISIS on the ground, providing the blood, sweat, and tears to destroy the group's caliphate. U.S. Special Forces have worked closely with the Kurdish-dominated Syrian Democratic Forces (SDF), a coalition of Syrian Kurds and Arabs, and formed real bonds in war. Yet Washington did not oppose a recent Turkish offensive to drive the Kurds from Afrin, an enclave in northern Syria, while drawing the line at the Euphrates River and implicitly protecting the Kurds of Manbij. The ongoing battle between Turkey and the Kurds has led many Kurds to leave their U.S.-backed units in southeast Syria to fight in Afrin. And now that Washington's commitment to the ISIS fight is shaky at best, more Kurds are wondering why they should risk their lives fighting with Americans. "They want us to finish what's important to them, but they won't concern themselves with what's important to us," a senior Kurdish figure who has liaised regularly with U.S. officials told the Guardian. "Let them fight ISIS. Let us fight for ourselves. Do they really know what they're doing?" How often can the United States abandon the Kurds and get away with it? Beyond the moral question of ditching the Kurds if Trump decides to leave Syria, Washington will lose significant influence in its ability to mediate between the Kurds and Turkey. The bottom line: Any serious Middle East policy requires a responsible Syria policy. And the cold truth is that a responsible Syria policy requires the presence of U.S. troops. This entry was posted in National Security and tagged Iran, Middle East, Military, President Trump, Syria, Turkey. Bookmark the permalink.